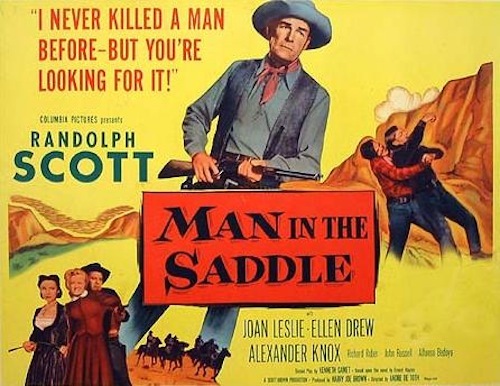 February | 2016 | 50 Westerns From The 50s. You’ll be seeing a lot of Wayne Morris around here, thanks to a series of releases from Warner Archive. So on his birthday, lets not just remember his movies, but salute his tremendous service to his country during World War II — seven Japanese planes shot down, five ships sunk. 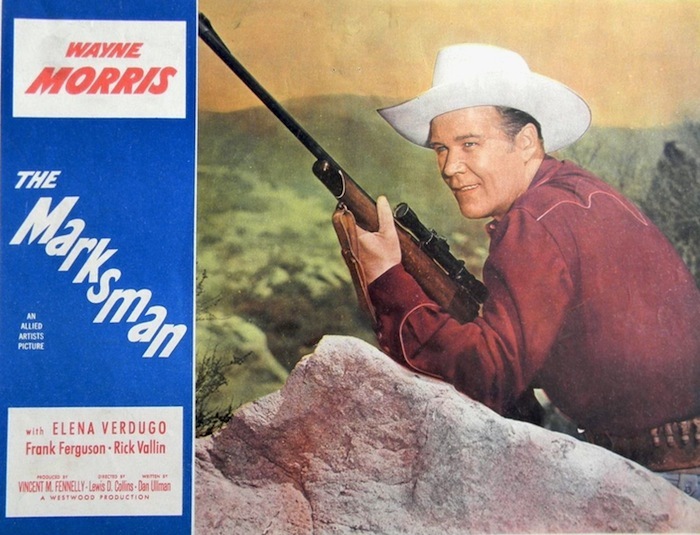 He’s seen here in The Marksman (1953), one of the Westerns Morris made for Allied Artists, which is part of Warner Archive’s Wayne Morris double feature. Any movie that gives Frank Ferguson third billing gets high marks from me. 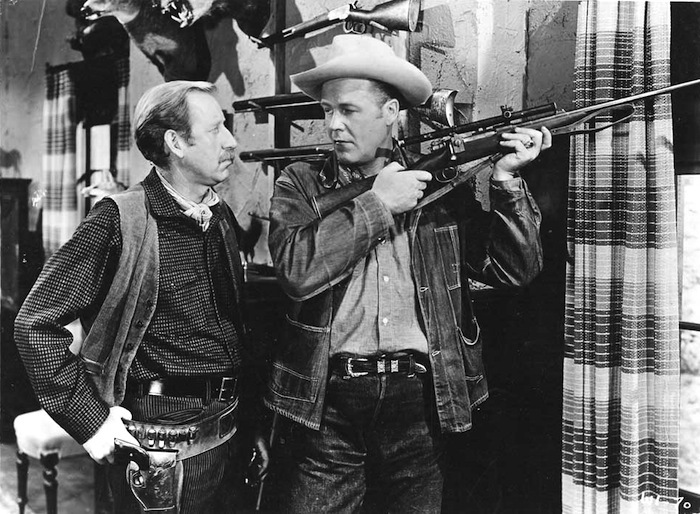 I’m ashamed to have missed Tim Holt’s birthday on the 5th. I’m not gonna screw up Ronald Reagan’s. 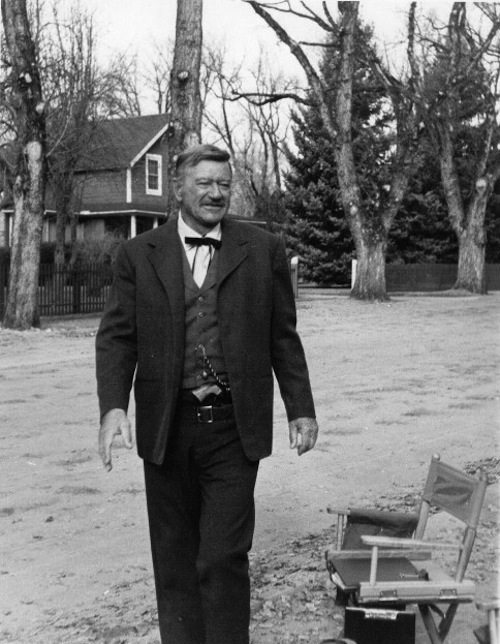 He’d be 105 today. 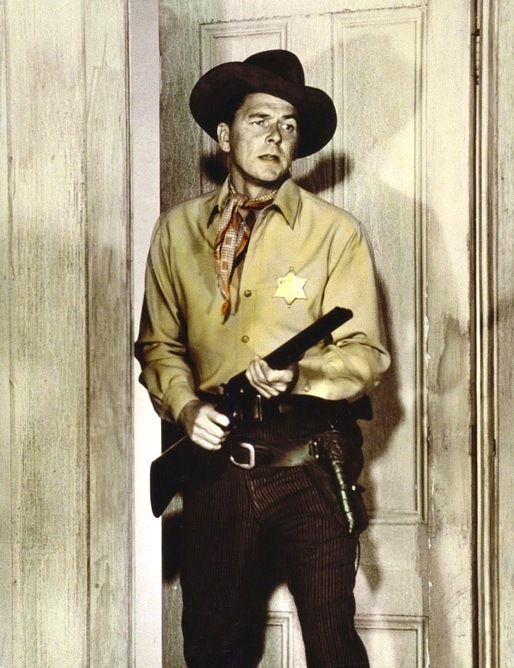 Here he is in Law And Order (1953). I resisted the temptation to post yet another photo from Allan Dwan’s Tennessee’s Partner (1955), a picture I love. 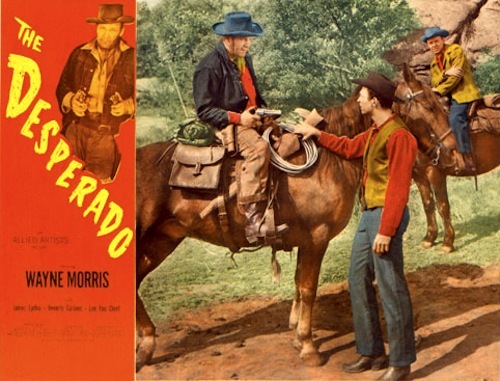 50s Westerns DVD News #205: The Desperado (1954). 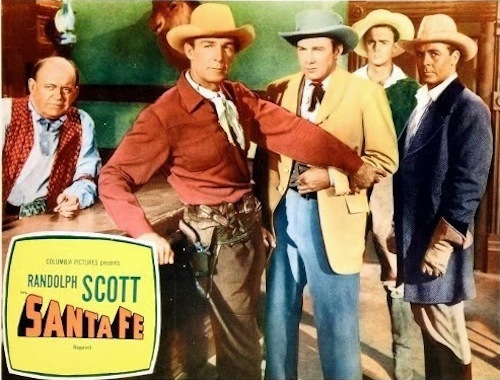 The B Western was heading for the last roundup when The Desperado (1954) came around. 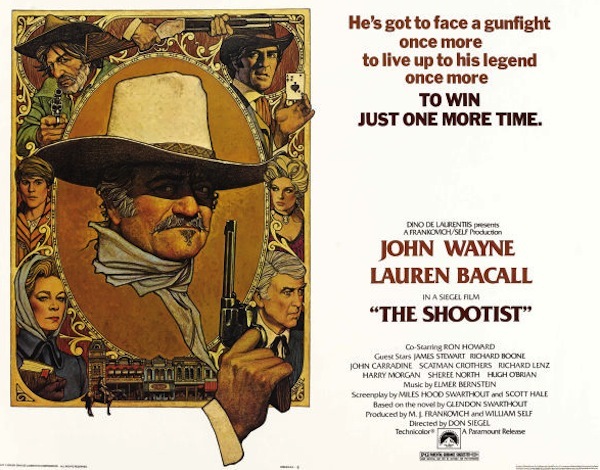 But it’s got a dream cast and Warner Archive is offering it with its original 1.85 framing. Can’t wait. I’ve been working on a review of the Roughshod (1949) DVD from Warner Archive, and my research turned up some pretty cool stuff. This panel from Prize Comics Western shows the cast and crew at work — the whole story is about making the film. Here, cinematographer Joseph Biroc and director Mark Robson prepare to shoot Gloria Grahame and Robert Sterling. Here’s Myrna Dell and costume woman Christine Chute. According to the original photo caption, it was 101 degrees in the desert. Claude Jarman, Jr. and Myrna Dell play cards on location. If you haven’t seen this one, it’s terrific. Tim Holt Tuesday #15: The Hillsville Theatre, July 1954. My wife is from Hillsville and Galax, Virginia. The Galax Gazette recently put its archive online. Jennifer’s been researching her family history, and I’ve been looking up what was playing at the local theaters.